Green Away is a naturally safe treatment for green water problems in a pond environment. 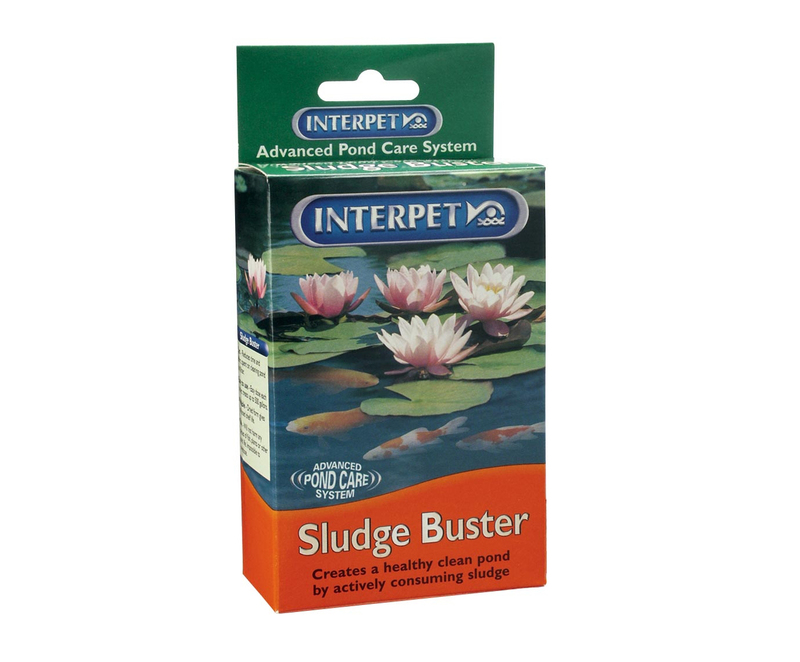 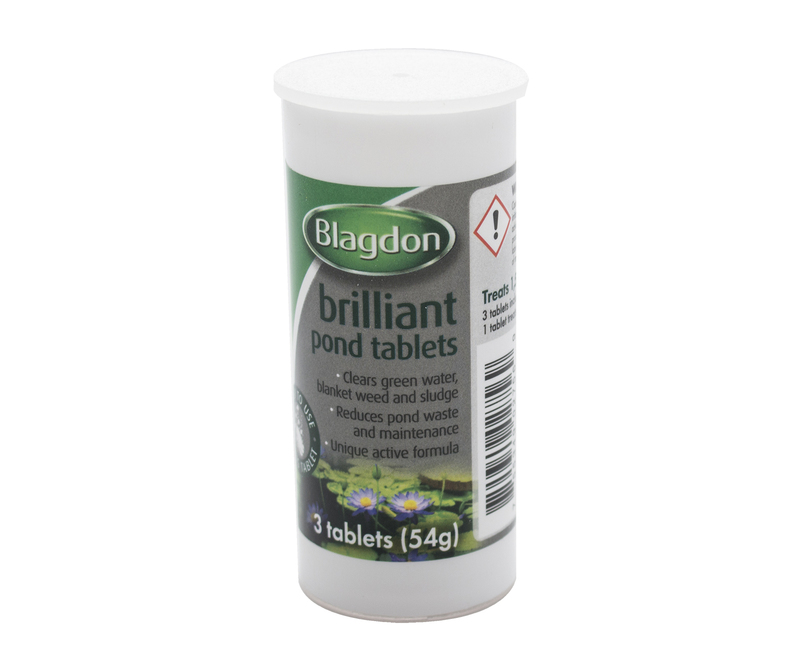 It removes the suspended algae (which cause the green water) by clumping them together so that they either drop out of suspension or are trapped in the mechanical filtration media in your pond filter. 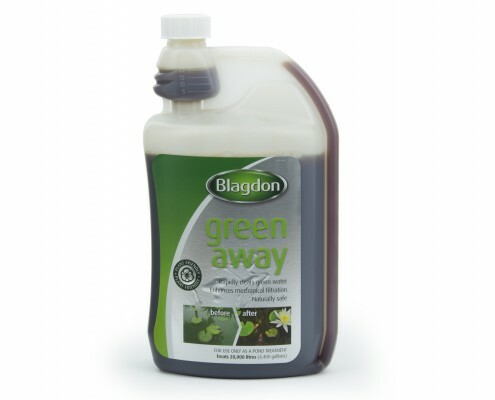 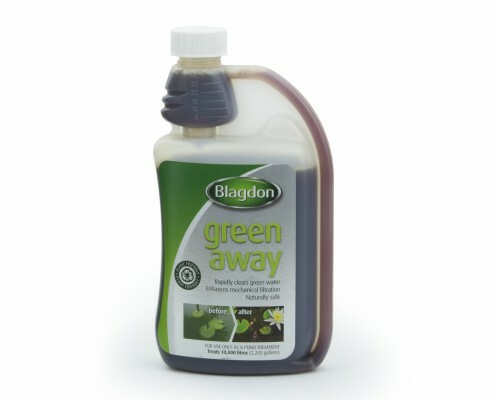 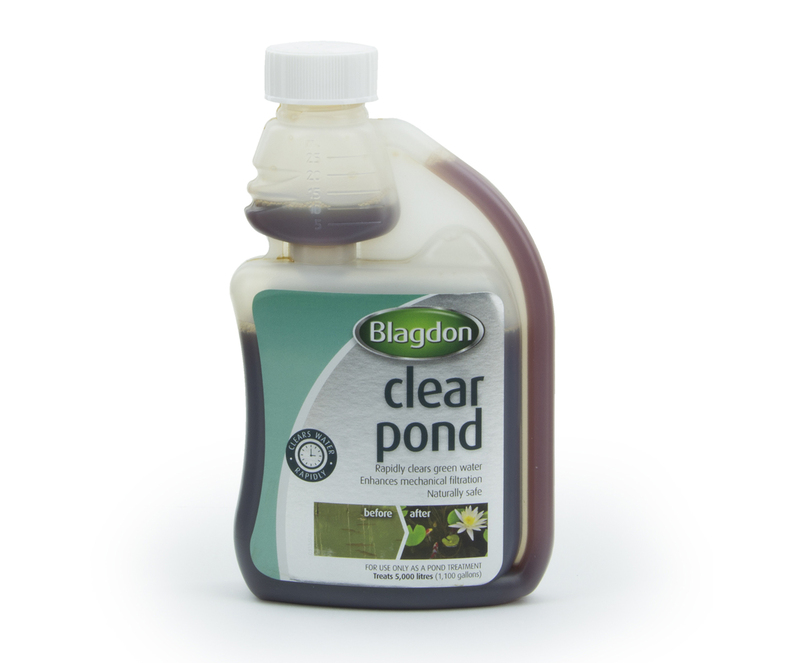 To prevent further new algae growth or dangerous deoxygenation of the pond, we recommend removing the dead algae as it appears and using Blagdon Sludge Buster to help break down the waste. 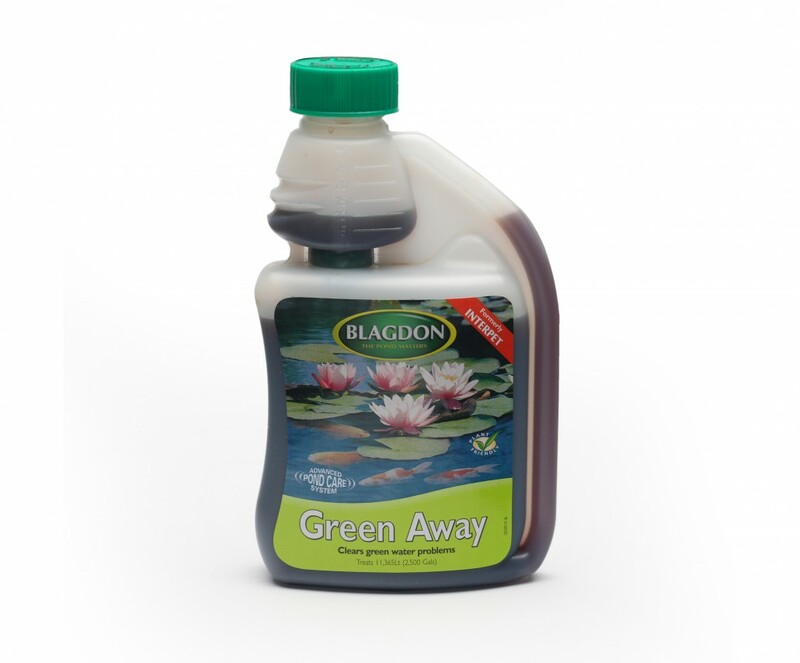 Green Away is harmless to filters and all species of pond fish, plants and water using wildlife.